As many of you know, PADI TecRec courses emphasize having good reasons for deep dives and in many courses “the mission” is part of the training dive. having said that I’m not sure that many TecRec divers could manage a mission like these guys are planning! According to the project website, Wojtek’s fastest time for solving the Rubik’s cube is 1 minute, so he is in charge of that part of the mission! Maciej, with a “solving time” of 2 weeks (still sounds quite quick to me) but a wealth of technical diving experience, has taken on the role of organising and managing the dive itself. 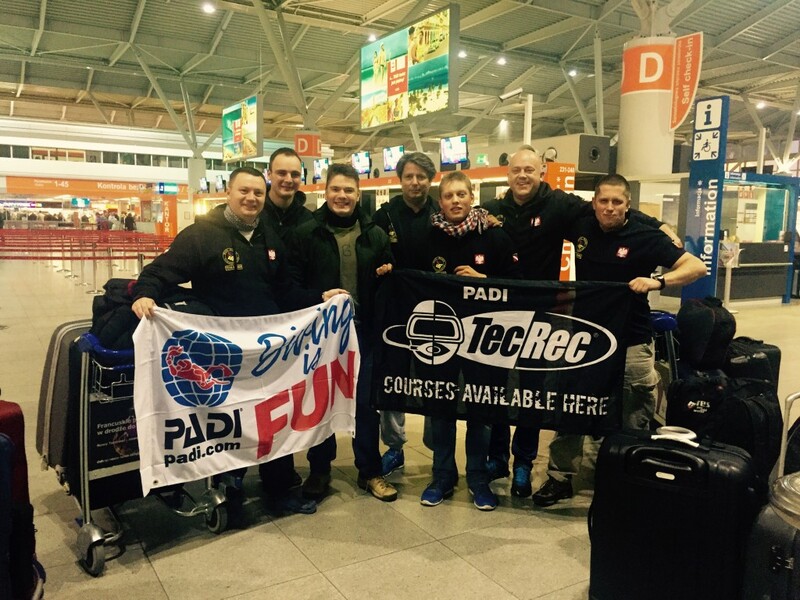 So Maciej and his team of PADI members and tec divers are heading out on an expedition with a difference! There are also four support divers who will help to make sure things run smoothly underwater and be ready to respond if help is needed. It may sound simple but record procedures must be adhered to. With only about 8 minutes at a depth of 100 meters the Rubik’s cube must be “mixed up” a the surface. and not just a twist or two – there are record principles to meet! Each “face” has to be documented by camera. It is then placed in a black bag (I presume so that Wojtek can’t be thinking of ways to solve it while he descends…) and only allowed out again when the divers reach 100m. Finally after the Rubik’s cube is completed the team will head back to the surface via their decompression stops. The dive is easy….its that damned cube that presents the problem…! Previous PostPrevious FAQS – How can rebreathers be used during PADI courses?